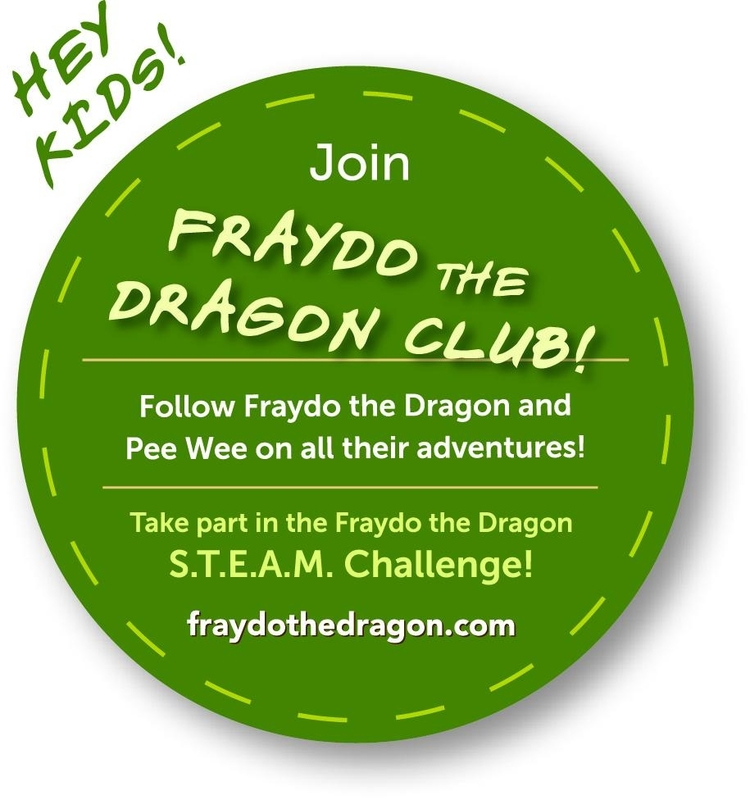 We are excited to announce our first title, Fraydo the Dragon: A Very Big Problem!®, has won the prestigious Mom's Choice Award / Gold Medal. Many thanks to the San Francisco Bay Area community and the book stores, including Book Passage, who have supported Fraydo the Dragon and our efforts to build empathy for differences and a deeper understanding for true friendships. About Fraydo the Dragon: A Very Big Problem! Fraydo the Dragon: A Very Big Problem! is a fun and humorous story for children about friends solving a problem together. This book and supporting discussion guide aim to invoke critical thinking skills around these important topics: understanding friendships and differences, developing empathy, and building upon one’s own self-awareness to problem solve. loads of giggles to children everywhere. What They Are Saying About . . .
"Fraydo The Dragon: A Very Big Problem!" "Little Fire Press’ debut children's book, “Fraydo the Dragon: A Very Big Problem!”, is the first picture book to play out the behavioral and social consequences associated to poor vision. It is a fun story for children that also carries an important message about early, poor vision detection for all parents, caregivers and educators." "Fraydo The Dragon: A Very Big Problem! ", sheds light, in a humorous and thoughtful way, on the significance of childhood vision health. Educators know that so much of learning is visual and that an undetected vision issue can compromise a child’s academic success, classroom confidence and joy of reading and learning. Thank you, Little Fire Press, for offering a creative way to begin an important conversation about the health of our children’s eyes." "As a child, learning to navigate this world is tough. But it’s next to impossible when you cannot see! Thank you, Little Fire Press, for publishing “Fraydo The Dragon: A Very Big Problem!” My kids love the story and are delighted when Fraydo finally gets his glasses. I appreciate the empathy my kids experience for this sweet dragon. This book is both entertaining and enlightening about the importance of childhood vision health." "This is a super sweet and funny story that appeals to kids of all ages...from the fifth grade students I teach to the kids at my own house (ages 3 and 6). Fraydo is clumsy and lovable, and his difficulty with spacial awareness and accident prone behavior cause him to be misunderstood leaving him with few playmates. When he discovers he needs glasses, readers will be delighted by what happens next! My kids loved the illustrations and hidden pictures on each page. They laughed out loud at many moments, particularly when Fraydo finally sees himself in the mirror declaring "a dragon!! Run for your lives!!" The night after we first read this book, my son, age 3 asked "can we read that dragon story again? "....a true testimony to it's awesomeness!" "Fraydo the Dragon is a wonderful story with beautiful illustrations. The quality of the book is top notch and the illustrations are detailed, colorful, funny and really cute. I love the story of Fraydo and how many messages my kids can learn throughout the book. It's about a dragon with poor eyesight who is "misbehaving" because he can't see or read but it's also about learning to pay attention to people around you, learning to listen and ask questions and about friendship. It's an all around fun book with many great messages. I hope you like it as much as I do. " "My daughter (7) and I enjoyed reading this book together. She poured over the illustrations, looking for Fraydo's friend PeeWee on each page and reading all the village signs. She recommends Fraydo the Dragon to kids who like fantasy, magic, and dragons and funny books. I recommend it to parents and teachers who are looking for a way to discuss or explain that sometimes there is more to a friend or classmate's challenging or problematic behavior than meets the eye. It's a great story for encouraging kids to be more empathetic and to raise their awareness of the many ways (including vision differences) that people are different from one another.'"